If this is your first Ramadan as a business in the region, we would like to share with you our experience of the past three years. Peer-to-peer retailing in the UAE is typically slower in the summer since a significant portion of the population (mostly families) travel outside the UAE when school is out. Thus, we, at Melltoo, take this opportunity to focus on our core users. We do not typically launch any new acquisition campaigns during the summer. We prefer to reward and invest our money in customer experience (e.g. discounted products, better-vetted listings, a faster delivery time). Ramadan in the Muslim world has been traditionally a month for hyper consumerism that benefit some industries such as traditional brick-and-mortar retail, food and beverage, beauty services, etc. As retail and other services ramp up, businesses use this opportunity to connect with their customers and offer them deals they can’t refuse. As discretionary income increases during the month, businesses compete to get their share. Typical engagement campaigns in the Muslim world concentrate on charity and giving back to one’s community since Ramadan is the month of benevolence and philanthropy in the Muslim calendar. In the last Ramadan, we ran one of our feature discount campaigns called “flash sales.” The basics of the flash sale campaign rest in the name. They’re flash i.e. they only last one to few hours, and they’re primarily sales campaigns. Flash sale campaigns run per category each time. We may run one campaign at a time or a few on the same day. During each campaign, we reward each buyer with 50% credit-back on the value of their purchase. Sellers benefit with a larger flux of engaged buyers who are present in-app to buy. The primary goal of each campaign was to boost transactions per category. Secondary goals are to push the users to explore the app, scroll down the feed, use the many features of the app such as search, liking and commenting, looking into ratings on seller profiles and ultimately create a more dynamic marketplace. We have run this campaign and other forms of this campaign successfully since launch. At a time of carefully managed growth, we increased our daily transactions by 50% for the overall month of Ramadan. The main distribution channel for the campaign was in-app messaging (automated live campaigns via intercom.io) and social media. Since last Ramadan, we introduced new changes to the app’s UI. We changed two things. We now run marketing campaign visuals on the app’s main browse feed. We also outsourced crediting rewards to users. Our staff does not add back credits to users. The users use coupons on the app and add money to their wallets themselves. Thus far, our coupons have been redeemed 1500 times since the first week of Ramadan 2017. 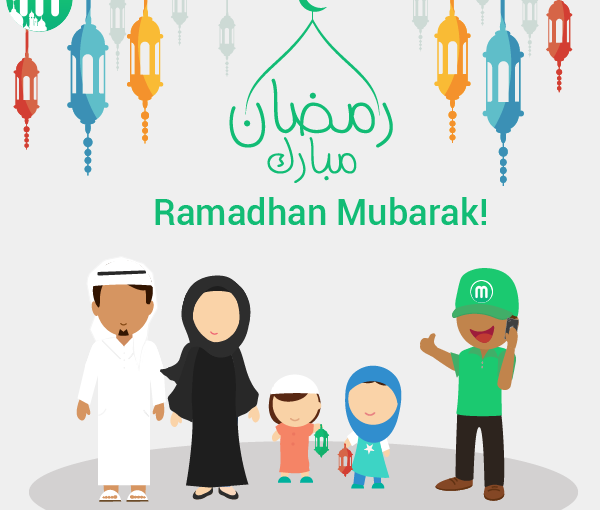 You can read more about Ramadan 2017 reward campaign and earn money on Melltoo right here!! User behavior typically shifts during the month of Ramadan even when the users themselves are not observing the religious duty, they are influenced by trends around them. In a peer-to-peer classifieds, great customer experience is a combination of efforts from the sellers’ side who provide their pre-loved items for sale, logistics companies who ship the items and the buyers who may accept these items or choose to return them; and of course our operations team’s ability to manage user participation and expectations. 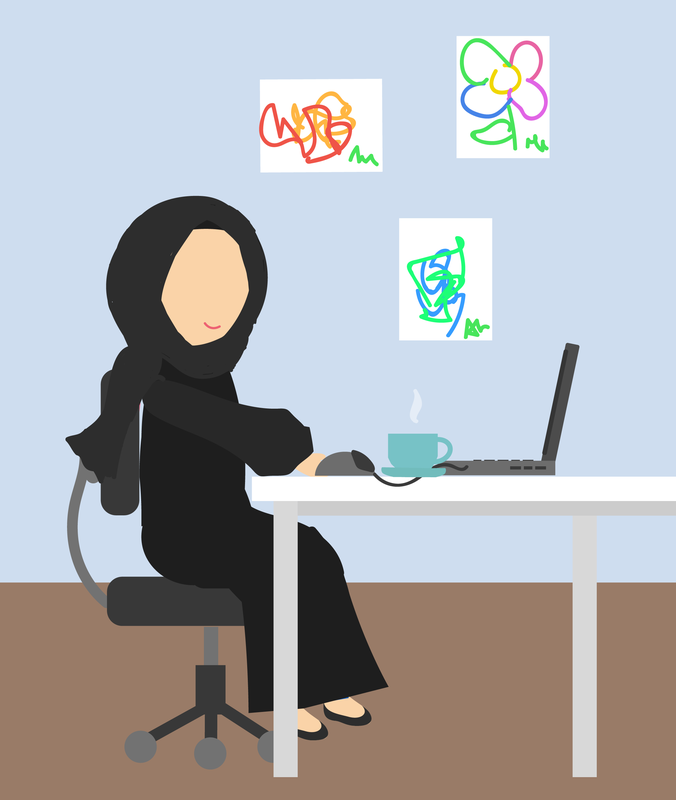 During Ramadan, working hours are shortened. This sometimes results in sellers being unavailable to ship their items on time and logistics companies having fewer hours in the day to complete deliveries. Our team’s responsibility is to maintain a positive user experience despite the inevitable logistical challenges. We take extra care to manage expectations and to be on top of sellers and logistics companies throughout the month. Customers are very reasonable people as long as they provided with timely and accurate information about their order. We let them know if a delay is anticipated, we revise our CS timings to accomodate the fasting schedule, we work with logistics companies to manage the flow of orders to prevent bottlenecks. Authenticity and honesty are key in our approach to customer service. We treat our customers as our partners and regularly update them on the status of their case. 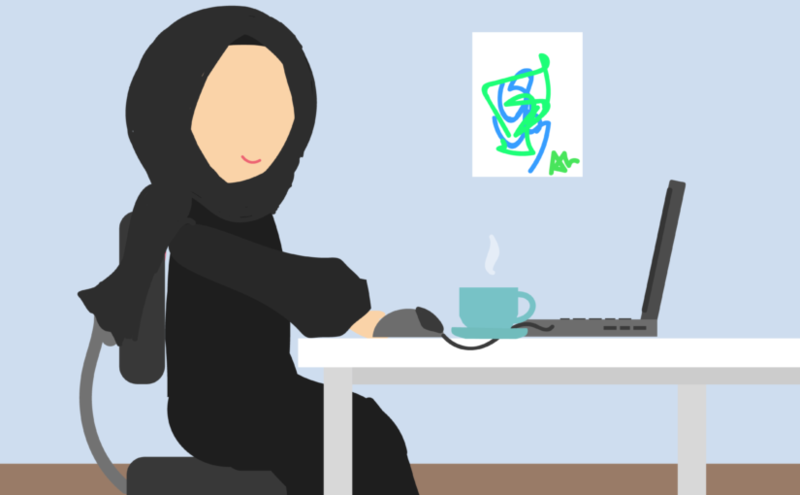 In the UAE and many other Muslim countries, working hours are reduced. While legal hours may not always correspond to your operating hours, in order to strike a balance between both, you have to know your customers and reach out to your partners. For most e-commerce businesses, you will deal with two important time slots: Working in the day will be crucial to make sure your sold items are shipped. Working the night shift is important because this is when your fasting customers will feel at ease to share their concerns and queries. Flexibility is important too. We, at Melltoo, operate a location-independent business which means we don’t have core hours people need to clock in and out. We focus on getting things done, right. As a result, our hours are easily flexed to accomodate the needs of the month. Sharene Lee is our co-founder and COO. She is a person whom I admire a lot for her focus, self-discipline and work ethic. Sharene is a mother of six. She manages several people with several functions. I often wonder how she does it. “Not having to eat during the day actually makes me more productive because I don’t have to stop midday and figure out what to eat and get everyone else sorted. I like Ramadan coz It gives me uninterrupted time to do more ‘brain-intensive’ things like financial modeling and working on product roadmap and strategy,” she wrote me. How you can lead the path forward? Ramadan is a month of blessings for Muslims around the world. It can be time for activity, testing and training depending on your business. The key factor is to know your customers well, to reach out to them and keep them interested in your brand even if they’re not buying. Reach out to partners, find synergies and find out how you can ride the Ramadan wave and stay relevant. Focus on CSR campaigns. If you manage a diverse workforce, it is important to invest in cultural sensitivity trainings to avoid tension in the workplace. If you intend to jack up your growth this month, lay the foundation to measure this growth and speak with your customers as much as you can. At Melltoo, we work as a distributed team. It was not the plan, but we started out this way and kept growing from a team of 2 to 25. And in this time, we have not felt like we are disadvantaged, in fact, we have executed and grown much more rapidly then our peers. We are not a team by virtue of sharing office space, but rather by a strong belief in our mission and by working toward common goals. For many of us, Melltoo is a unique opportunity to work within a rapidly growing market while not physically being in Dubai. It is also a great way to make an impact from wherever we are in the world, by contributing to the sharing economy and helping make resale and resuse part of the product lifecycle and in turn build a more sustainable future. Every single of one us finds meaning in our work. Most people don’t fully understand what working remotely is about. Great ideas don’t always happen in closed spaces. We live in a world with excellent communication technologies (slack, hangouts, appear.in, jit.si Meet, etc.). Idea generation takes place when there is communication, it really doesn’t matter if it’s spoken, written, in person or asynchronous. After all, working from the same place every day can be really depressing. With Melltoo, I have had the opportunity to travel to several destinations around the globe while launching major feature updates, such Melltoo Pay&Ship in October 2015. I still remember this experience as one of the most fulfilling work-personal experiences in the past three years. Perhaps, it is the change of routine that helps me schedule both work and “me” time evenly. One thing for certain, I did not feel overwhelmed by either work or travel, as compared to other times where I woke up every day and did the same exact thing over and over. Being able to work-travel also opened my eyes to new things and experiences that I’ve been able to import into my work. When given the chance, many office employees welcome the option to work remotely. There is even a new “workation” trend, where you are able to fulfill your passions outside of work, while still successfully fulfill your job duties without being limited by physical space. These trends along with digital nomadism is responsible for a new work philosophy among Millennial workers and Gen X-ers. Southeast Asia and cheaper European and Latin American cities are filled with transient digital nomads who hop from city to city looking to feed both their soul and portfolios. Parents also prefer working at home when available to them. Santosh Binwal, Melltoo’s quality assurance manager, works from home due to family reasons. “I needed to work from home due to some family conditions. Melltoo gives me this chance. There is no hard timing and pressure. All members in our team are like family. Everybody helps one another. Top management are transparent with all team members and everyone knows what is going on. No hidden things,” Santosh wrote me when asked to contribute to this article. For the uninitiated, here are three myths about the nature of distributed teams that need debunking. Working remotely is not akin to freelancing. We’re bound by KPI’s, tasks and objectives. Our commitment to the company is very real. In fact, everyone on our team, except several new hires, have been with us for at least a year. It’s all about organization and setting clear, achievable goals. Working remotely does not negate the development of company culture. In fact, I would argue that working remotely has shaped our company culture into one that emphasizes results and execution over office politics. 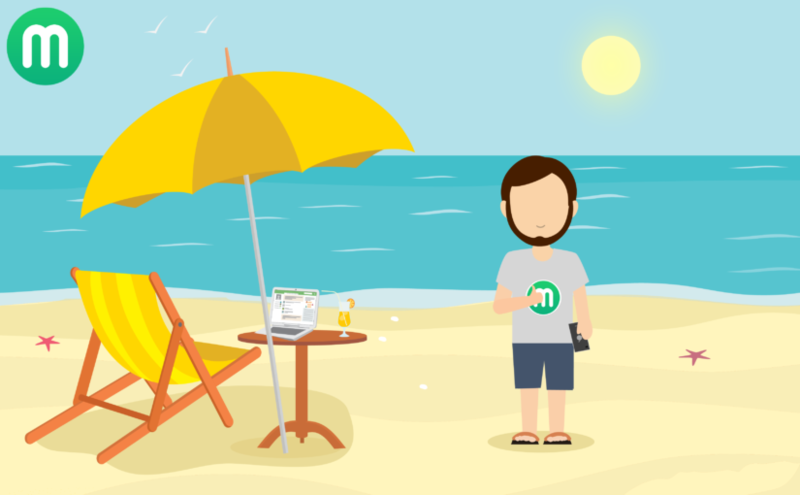 Many of our customer service agents have been working remotely with Melltoo for over a year. In fact, many are polyvalent and perform several tasks within our broad CS-Operations team. They have witnessed many changes to our processes from the way we verify and book orders to how we treat claims and cancellations. Timing is especially crucial for a company like ours which prides itself for great customer experience we offer to our users. We schedule our working hours within peak hours of customer interactions. Typically these peak hours fall within people’s resting schedules. Our team is experienced enough to anticipate peak days and hours before they occur in synch with our marketing campaigns schedule. Our CS team has been through different growth stages. They helped shape CS processes and performances in the past year resulting in a decrease in our CS reply time from hours to 10 minute per query. Everyone continues to learn on the job while also supporting themselves in a handful of small cities in Egypt plagued with a higher-than-average unemployment rate. Fortunately, our team’s professionalism and fondness for team work has kept them in their jobs year after year. While this may be true at times, it is still preferable to working in an open office which tends to be awfully distracting with chatty coworkers, background noise, and office politics. According to a Harvard Business Review Research on work satisfaction in open-floor work spaces, the results are not great. The main complaints are noise, lack of cleanliness and constant interruption. In fact, the study reports a loss of 86 minutes per workday due to distractions. From my own experience, as customer experience manager and content writer, I am able to focus better with a silent background while being the only person in the room. I do my work first and then I schedule calls and meetings around it. Hours of optimal productivity also differ from person to person. Allowing people to work asynchronously improves productivity while increasing job satisfaction. So, while working remotely can sometimes be lonely, it actually helps getting the job done, especially in creative tasks that require a lot of concentration, like coding or writing. At Melltoo, we recognize the need for social interaction. It is something we constantly work towards. Rahul Choudhary, our technical manager, recently moved to Melbourne, Australia. Just like the rest of the members of our team, he is not restricted by location to do his job. He fashioned his own communication style with his team of 10 people. “One of my most important roles is to communicate with the tech team and get things done. I usually talk with the team on phone or skype. Text chat is only used to keep records. So, if there is something that needs to be present as reference, then I put it on Slack or email. Voice call makes it easier for everyone to explain & to understand,” he wrote to me on Slack. Slack is our favorite channel of communication. Wrong. As I mentioned above, working alone has the benefit of reducing distractions and boosting productivity. In addition, work productivity is measured by motivation, not location. Remote workers are by default a motivated bunch of self-starters; you won’t survive very long in the remote work environment if you aren’t. There is no one to tell you when to start work and no one to prevent you from stopping. Without self-motivation, you won’t get anything done, which is a one-way ticket out of the job. In my opinion , there is nothing more exhilarating than taking the lead and achieving the goals you set out for yourself. Santosh has worked on multiple app iterations including major feature updates and changes. He relishes increased responsibility. “I am motivated by taking responsibility. In Melltoo, there is a high responsibility on me that the application should be Bug Free and Users can use it without any hassle. One more thing, it gives me a sense of accomplishment and I am proud to say ‘I am working for Melltoo,'” he wrote me when asked about routine and execution in the job. We, at Melltoo, have worked remotely since day 1 and we’ve been thriving and growing for the last three years. We don’t clock in, we don’t clock out, we travel, we work. In this time, we’ve served hundreds of thousands of buyers and sellers, raised several rounds of funding and continue to grow the business while working cohesively as a team from many places around the world. We haven’t missed a beat. It has been a routine of mine to experiment with new automation processes along with our operations QA manager, Hesham Mustafa, often at the wee hours of the morning. We’re both night owls and I prefer test sending messages to users outside of rush hours to see what works best. We never found the need to sit together at one place at one time, we just communicated constantly as we worked together on developing a rationale and method of automation. Hesham, who is a chemistry graduate, took a liking and commitment to learning and customizing codes and API’s from our tech team to fit the needs of our operations team. “Everything I do now I have learned on the job, which was made possible because I could choose where and when to work and didn’t have to waste my time and energy going to and back from a certain work place. In addition to that, I was given the space to innovate and apply my ideas which was a huge motivation to do even more. I’ve thought of it as a hobby that I enjoy more than a job that I would have to do just to get paid,” he writes. In just a few months, we managed to automate a large chunk of our operations at Melltoo. We have about 10+ people who collaborate daily on operations, from the product development team, CS team, Operations and QA. We’re not bound by strict schedule but rather the simple logic to serve our customers in the ways and in the hours they need us the most. In the digital era, marketing is redefined as a fast-paced, high-impact affair. In this new global platform, entrepreneurship has evolved to a whole new level. SMEs can now rub shoulders with mega corporations, even with their limited resources. The relationship between customers and businesses is becoming less static thanks to technology and social media. Things have just gotten more interesting. But being in the game is not enough; knowing how to play is the only guarantee of staying in the game and, with the right attitude, winning. A successful business is no longer defined by its size, but rather by its ability to attract and maintain a strong user following on the web. And this means delivering a fun and interactive experience from the get go. In other words: It is all about being “user first”. This was the engine under the hood of Melltoo, a Dubai-based mobile version of classifieds that is capturing the attention of users and investors around the MENA. When a company puts users’ needs at the center of its product development it changes the pace and the focus of all of its endeavors. Being user first means giving top priority to user experience in order to nurture brand loyalty. Whether Melltoo is building content or expanding user outreach, the question is always: How do we engage users and bring them value? For co-founders Morrad Irsane and Sherene Lee, the app answered the need to bring the classified ads culture into the new digital age and make the experience more friendly. Websites, blogs and various social media networks had already adjusted to host classifieds on their platforms, but they all registered similar complaints. Posts and items for sale often got lost in the noise, and the response rate was sometimes despairingly slow or untrustworthy. The startup also noticed there could be buyers for even the smallest, inexpensive items so it decided to give fair treatment and exposure to every item. This has given it a distinct edge over other selling platforms like Dubizzle. Melltoo’s user first objective challenges conventional business practices on a daily basis. Real-time messaging through the in-app chat allows users to address each other directly and receive immediate updates on their phone to conclude deals. Because it is the only way for them to interact, it guarantees their privacy and ensures the safety of their contact details. They can also file complaints and block abusive users. This example of a user first approach constituted Melltoo’s primary entry point into the MENA market where the mobile app territory was still widely unchartered. So in many ways, the company’s user first, mobile first, MENA first mindset created quite a stir in the Dubai startup scene. Its unique approach to addressing users’ pain points in the UAE has created a new set of business practices tailored to the needs of a growing population of young smartphone users in the region. Melltoo is always looking for new user engagement strategies and testing them. As a small operation, it takes a Darwinian approach to strategizing in order to conserve its resources and human capital. Its flexible hierarchy makes it possible to involve all team members every step of the way, starting at the idea stage. Of course, such an operation requires constant communication and often calls for multitasking. Although members of the Melltoo team are located in different parts of the world (France, Tunisia, Pakistan, India and the UAE), they are able to stay in constant contact thanks to the team communication platform Slack. Ultimately, this makes Melltoo a leaner, more united and supportive team. Once a strategy is implemented, the team spends weeks on monitoring user behavior and internet analytics before deciding on improvements in service delivery. According to the founders, “Being user first means incorporating user feedback into the development process, in order to build a product that brings value to users.” Because it is a small operation, Melltoo is able to quickly adapt its marketing and engagement strategies to changes in its user base. In turn, this grants it the necessary elasticity to redefine and refocus its brand identity effectively. Such a dynamic brand identity is very conducive to the organic growth of both the company and its user base. One example of how Melltoo translates customer engagement into growth is through its broader range of social interfaces. For instance, the website’s blog features articles by experts on how to promote items on sale or advice from Decluttr Me (http://decluttrme.com/) on reducing excess at home or in the office by de-cluttering. The app has also collaborated with other startups and initiatives such as sales of handcrafted products or used items to raise funds for causes. This deep social integration has a purpose: to build trust in the marketplace. It also serves to strengthen the buying and selling eco-system in the UAE and therefore reinforce Melltoo’s position in the market. Since its launch in March 2014, the app has had over 100,000 installs, with a daily growth of 450+ users. 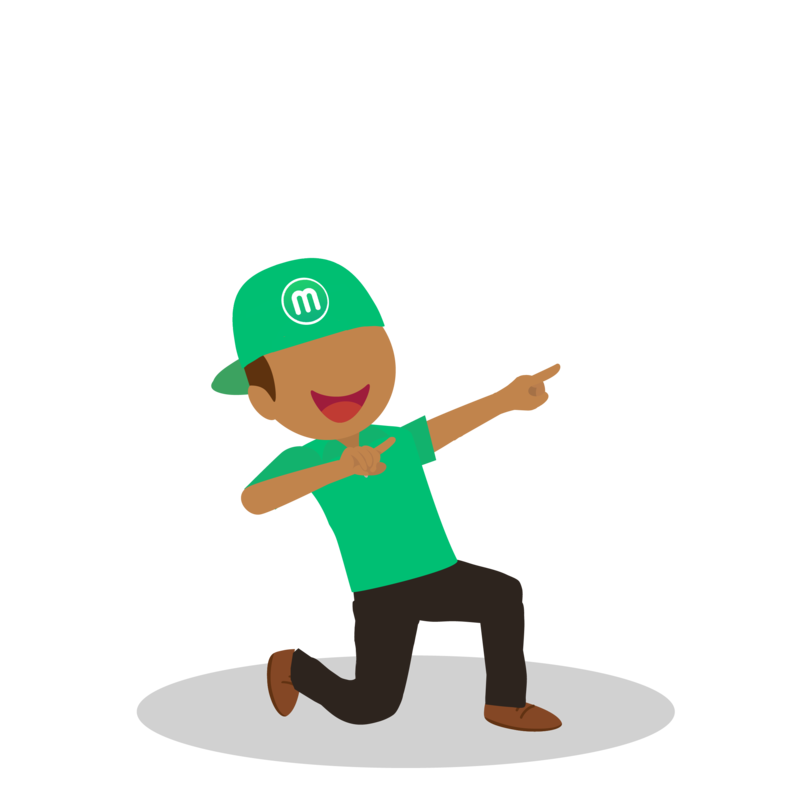 Melltoo is a classifieds listing service for mobile where people can buy and sell things. The startup was launched in 2014 with an initial investment of $100,000 in own funds and has recently secured investment from the WOMENA angel investor group to boost itsgrowth. The app is available for free on the Apple and Android stores. As a mobile startup with an impressive web-based competitor who’s been around and has deep deep pockets, we get asked this question a lot: “Can’t XXYYZZ build your app in 12 days?” When we explain Melltoo‘s value proposition as a mobile first social selling platform with a payment and delivery service and a built-in chat function, people understand how we are different from our web-based competitor. They immediately recognize that we have a compelling value proposition. However, they always come back to: “They have tons of engineers, I’m sure they can build the same app in a month.” Then we show them Melltoo, and they inevitably go “WOW” but nevertheless say: “It’s an amazing app, but XXYYZZ has loads of cash, they can do what you did and CRUSH you.” Well no. They can’t and let me tell you why. In Fall 2012, Facebook launched it’s native mobile app for iOS and Android and declared itself to be a mobile-first company . This was after a “painful” (Mark’s words) 18-month transition for one of the world’s largest web companies. Why was it painful? Because the mobile experience is totally different from the web. And if you are used to building for the web first, while your mobile app plays catch up, then your mobile experience will always be sub-optimized and limited. There are certain things that the mobile can do that the web can’t, such as geolocalization, pulling from the camera hardware, and push notifications for starters. So if you’re building for the web first, you will neglect these oh-so-important mobile-only features, which means your user experience will be sub par. 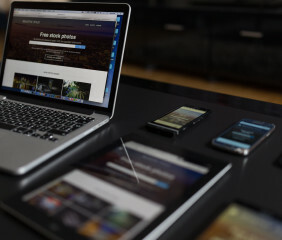 In order to become a mobile-first platform, you’ll have to greatly streamline and simplify your web experience in order to maintain consistency across services and platforms. Just this March, Paypal rolled out it’s new “mobile-first” website which fronts a major overhaul of Paypal services to enable and enhance mobile transactions. The point here is that the move to mobile is not simply about building a front-end app. It’s also about what’s going on in the backend; and in some cases, the move to mobile affects the product offering at its core. Let’s suppose that the big web incumbent has an enlightened CEO like Mark (Facebook) or David (Paypal), who recognizes that it’s time to go mobile-first. Then, there’s the rest of the organization to contend with. Large successful companies are run by large numbers of people who require bureaucratic processes to work together effectively. Forgetting brainstorming on Slack, like we do at Melltoo. Bureaucratic processes are by definition slow and that’s why large companies move slowly. Once our enlightened CEO figures out it’s time to go mobile, she has to coax her board of directors and clue in all her senior management. Then, after much back and forth, strategy is hammered out across departments and implementation plans are drawn up. New bureaucratic processes need to be introduced at this point to manage change and reduce risk. Finally, the little worker Joes, on whose backs the company runs, need to be retrained and realigned. The whole organization needs to be restructured to tame the misbehaving beast. Suppose you are the web-based incumbent that is making tons of money with your website. Melltoo shows up on the scene, a startup with 6 (at last count) team members and some VC funding. Melltoo hints at a future of unrealized potential. You sense that Melltoo could be disruptive, the keyword here being could. Would you at this point overhaul your entire business model and take your organization through a painful transition in order to respond to the little startup nobody has heard of? I think not. And your board of directors is unlikely to go for it. Which means you won’t move until Melltoo has 50 on the team and a Series B under its belt. Then the battle begins, and may the most innovative company win!